Winter vacations are one of those best kept Ozarks secrets that are the exclusive privilege of the savvy traveler. Snuggle weather in the Ozarks is a bargain and reservations are easy to come by. What may be a budget buster at the peak of summer is an affordable luxury in winter. Now is the time to snag bargain winter rates in some of the Ozarks most delightful full- service hotels. My most recent stay was at the Branson Raddison Hotel. You can drive in, park the car and enjoy enough creature comforts that you never have to leave the hotel for the entire weekend. Look to the larger hotels to provide such premium amenities as an indoor pool, sauna, whirlpool, and fitness center. There is complimentary high-speed, wireless Internet access in all rooms and throughout the hotel. By the way, a hotel fitness center gives guests an opportunity to try several types of exercise equipment, If you are considering a purchase for home, try it out here first. Using the exercise equipment is a no-pressure way to decide if joining a gym is the right choice for you. 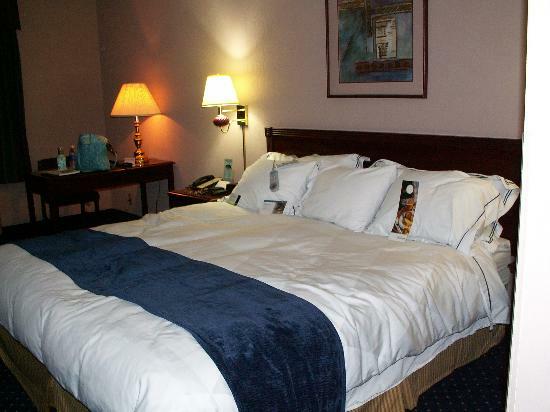 Your room – Raddison has a Bed & Breakfast Package with great rate, breakfast for two and a Sleep Number® bed guest room. Their Gold Points® rewards program just sweetened the deal. More winter time deals are online. 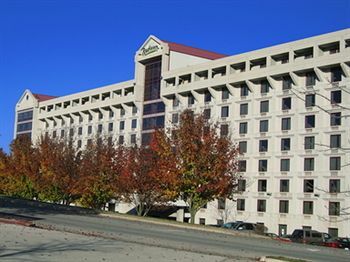 Raddison Hotel Branson is easily accessible. There are pet friendly rooms available. The entire hotel is smoke-free. The Raddison Hotel Branson’s full service	restaurant, the Wildwood Bistro, offers some local favorites with a bistro twist. The Time Out Sports Lounge is sports bar should you want to catch the big game. Noble Romans Pizza serves a decent pizza and can deliver to your room. IMAX Entertainment Complex, 3562 Shepherd of the Hills Expy, Branson 65616 phone: 417-335-4832. Guests can enjoy shows in the giant-screen IMAX theaters or see some of the latest movie releases. Titanic Museum Ice Carving Competition, 3235 76 Country Blvd, Branson 65616 phone: 800-381-7670. Saturday, January 15, Branson’s Titanic Museum hosts an ice carving competition just outside the ship’s bow. Free event. Watch professional ice sculptors carve designs from 250 pound blocks of ice. If you have never taken the Titanic Museum tour, now is a good time. You can linger as long as you like and not feel pressed by those summer crowds. For More Information: Chamber of Commerce & Convention and Visitors Bureau Visitor Welcome Center. Welcome Center is at the intersection of U.S. 65 and Highway 248 (Red Route). Make this you first stop in Branson for friendly faces, free maps, brochures, Branson Vacation Guides, coffee and clean restrooms. I just received the email notice. Check it out for yourself. There’s no time like right now to book ahead. Receive 25% off our standard rate at participating hotels worldwide when you book your next stay 14, 21, or 28 days in advance. Book today and start saving.